@PublicLab to the Rescue With Eyes in the Sky and Tech #CitizenScience #environment #tech #diy #science « Adafruit Industries – Makers, hackers, artists, designers and engineers! This past weekend I joined Public Lab in West Virginia for a regional Barnraising event to hear testimony about the environmental issues faced by the community and to share helpful resources. Public Lab brings people together around the world to investigate environmental issues using open source tools often created by their members. West Virginia’s challenges include fracking and mining, so air quality and water quality dominated the conversations. Some of the tools we tested during the weekend were kites and balloons for aerial photography, especially since Public Lab recently created an easy-to-use kit for this purpose. 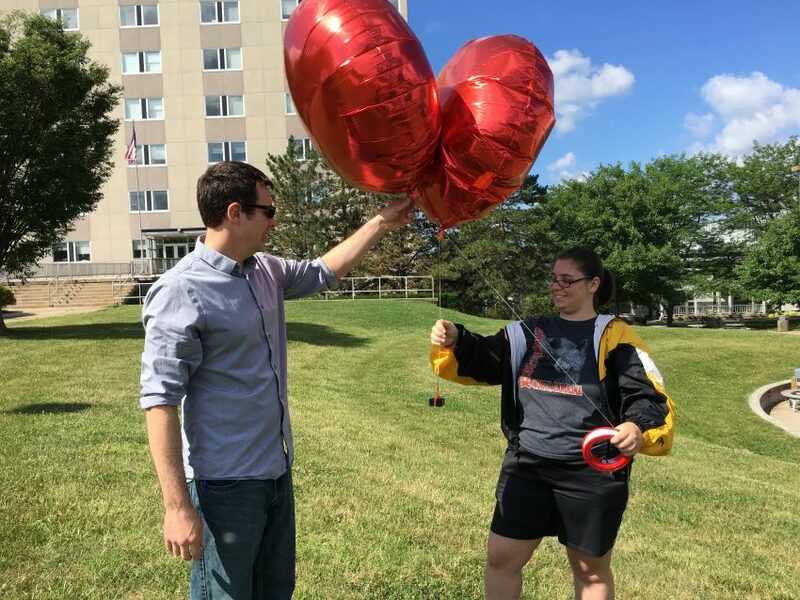 It was exciting testing the balloons, especially since the team was working on improving the platform for the mini camera. Aerial photography can be helpful for monitoring sites for violations, especially when drone licensing is tricky. Of course other data was also mentioned like open source images from satellites. 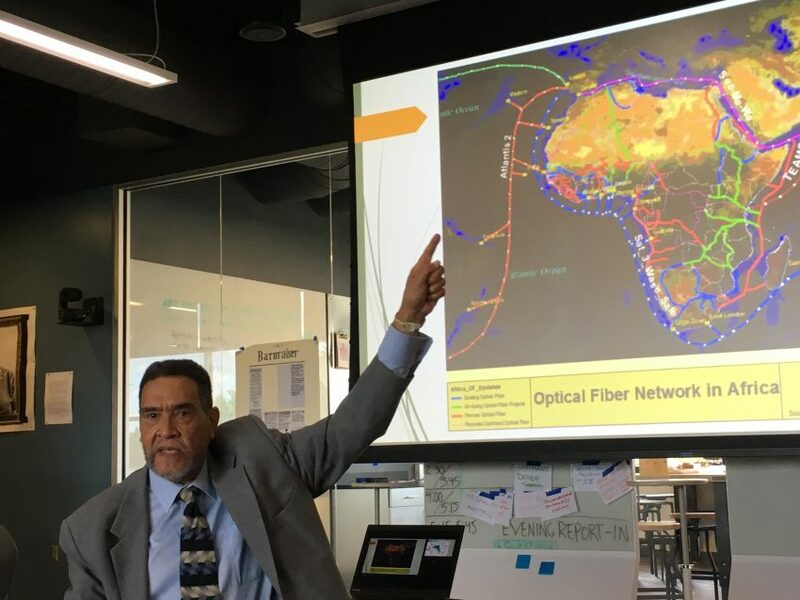 One Public Lab member gave a detailed talk on remote sensing around the world and tied the importance of uniting all countries in technology. 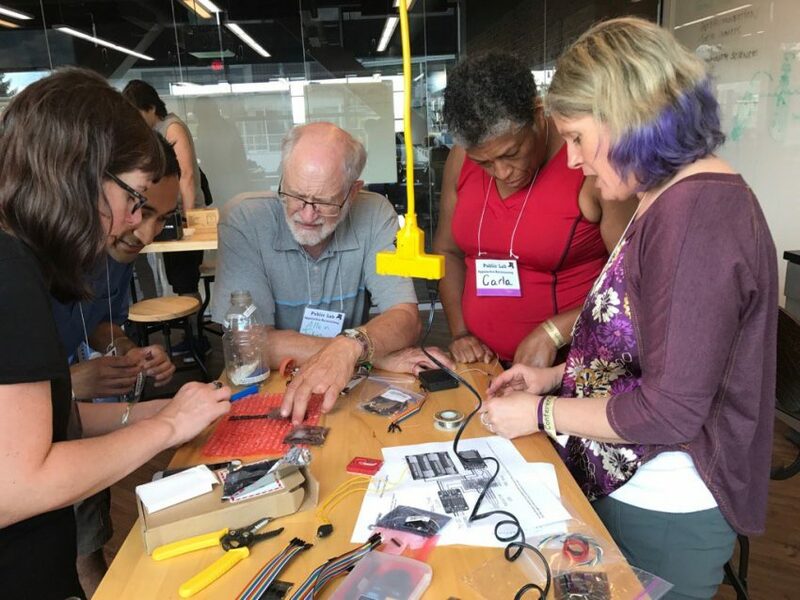 Capturing data is always of interest when talking about air quality and water quality, so one session was spent building compact data-loggers from some new kits designed by a community member. I got overly excited and ended up zapping an Arduino, earning my first official Adafruit “Blue Smoke” badge. I’ll be making good on the situation as I brought home the kit so I can replicate the project and post a research note on Public Lab’s site. Replicating a project and suggesting other improvements is a normal part of the process of kit development. 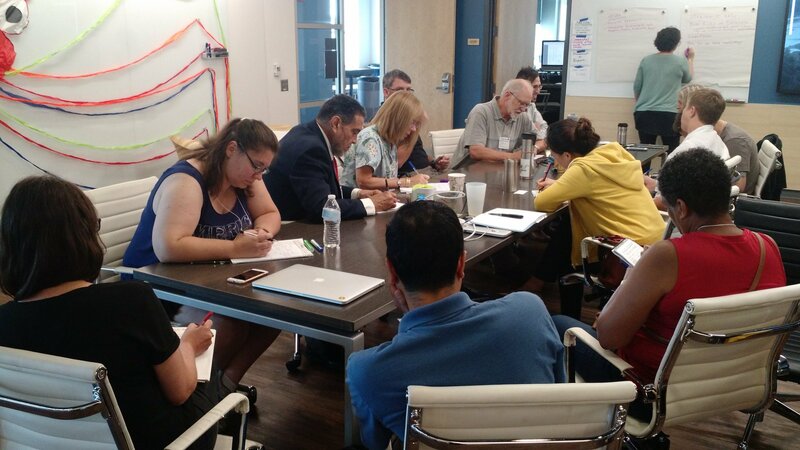 You can’t bring up environmental issues without considering health effects, and a few sessions revolved around better ways to track conditions, as well as methods to share the information. It’s a tough topic when a large part of the community receives their paycheck from energy companies, and there was a lot of empathy about the balance of jobs, the family history of residents, as well as the cultural significance of the land. 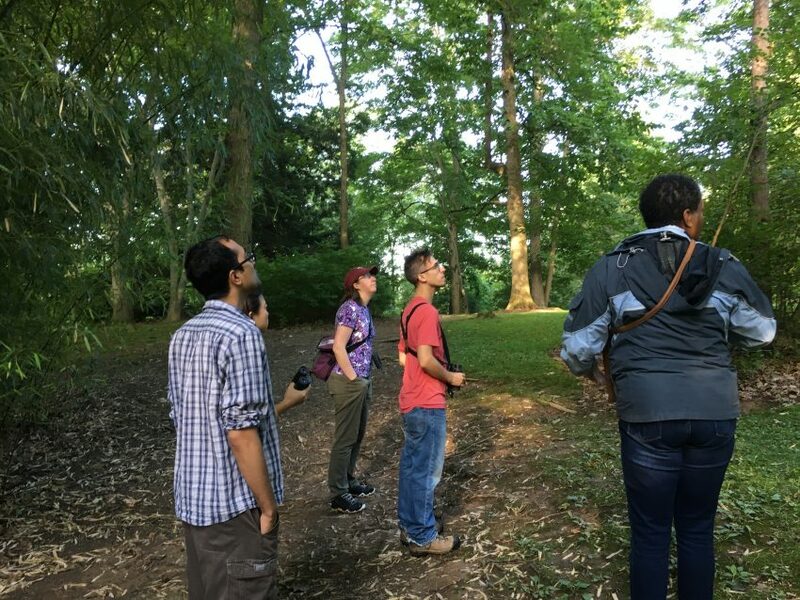 One member of the West Virginia community had an interest in looking at natural indicators for the health of the environment, including the Louisiana Waterthrush and various lichen. So, we had an alternate early morning session in a nearby arboretum. We definitely heard more birds than we saw, but that’s par for the course in birding. Although Public Lab’s site is vast with notes about environmental challenges and helpful hardware, there’s nothing like meeting in person to gain a real understanding of the interconnectivity between living things and the planet. I’ve often said that in hackathons every person is helpful, regardless of their knowledge of technology. The same can be said for all problem solving, because it is the individual perspective that often illuminates the problem, creating the right questions. 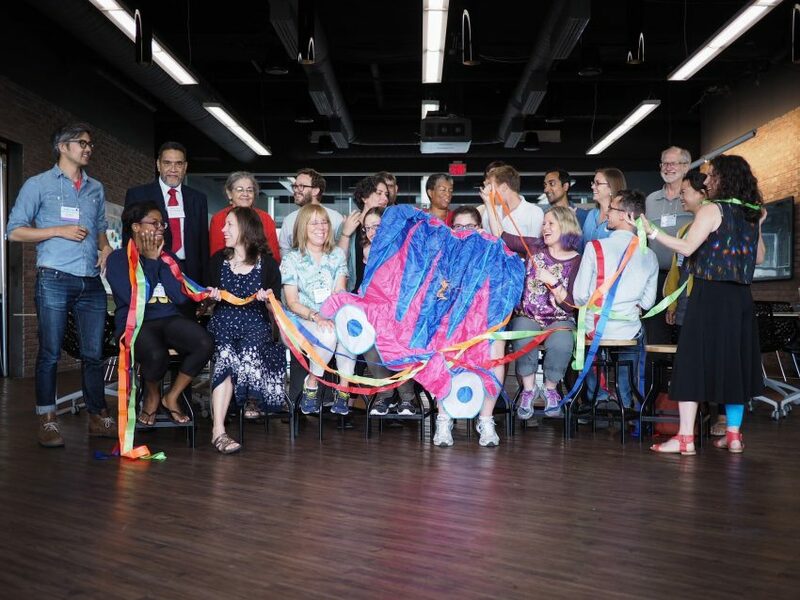 At this Barnraising we gained new connections and some new collaborations are in the works. I know I’ll be reaching out to one attendee for some satellite images of Philadelphia. If you have an interest in the environment, you should definitely consider becoming a member of the organization. This is citizen science at work with an inviting community and many entry points for participation. You can be part of the change, and it’s filled with testing and great care. 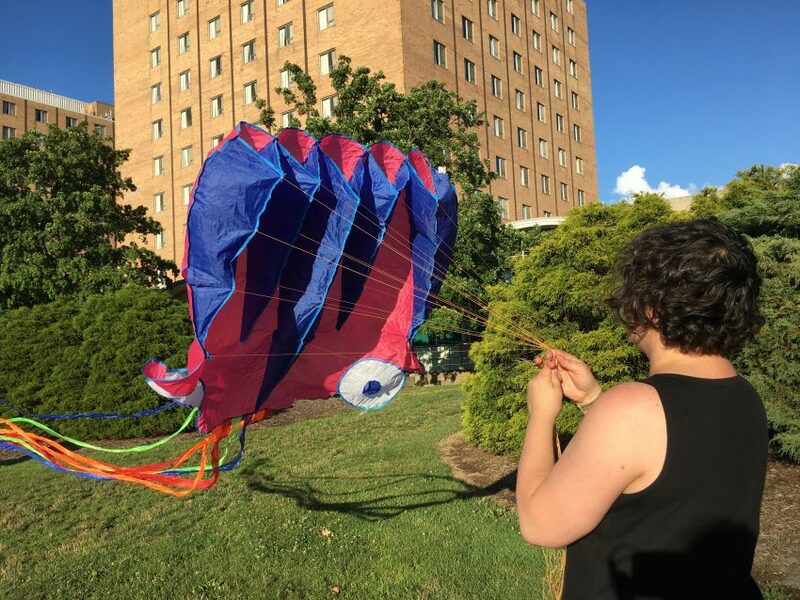 Hope to see you at the next Barnraising, and in the meantime, go squid kite go!